I know this is going to sound slightly over the top, but I’m beginning to realize that by the grace of God, social media has helped save my marriage. And maybe…just maybe, it’s helped to save me too. I’ve been a Christian since I was about 13 years old. Obviously, I didn’t understand all that meant then…or now and I’m still learning. However, the last several years have changed and cemented me in ways only God could have designed. I now understand a great deal more about my own heart and I understand more about God’s heart as well. He is good. Well over 20 years and 3 kids ago… shoot, I was really just a kid myself– a writer, a poet and 2nd-rate performance artist, full of dreams and creative aspirations. Sadly, I was also full of the fear and dysfunctional behaviors that go along with chronic abandonment and abuse. he was nice and he didn’t hurt me. It didn’t matter much that both of us had no clue what we were doing. It didn’t matter that we had no real family guidance or grounding. Five months after we met, we were married and on our way…to who knows where. All we knew was to do marriage better than we’d seen our parents do it–how hard could that be? It also didn’t matter at the time that I’d traded in my personal dreams and goals, exchanging them for the supposed security of that coveted “M.R.S.” degree. Heck, these things would sort themselves out later. Right? You know, it’s hard to succeed when you wake up every day and go to bed every night slightly terrified you’re doing it all wrong and you can’t ask anyone for help. You’re certain everyone else has it all together and you have to pretend you do too. That was how I felt. Somewhere, along the way, I’d lost my identity. A gaping, lonely hole was working it’s way into my soul and I didn’t know how to fill it. Believe me, I tried. Basically, I lived most of my days in fear that sooner or later, someone was going to call my bluff and I knew I didn’t have any real or lasting answers. 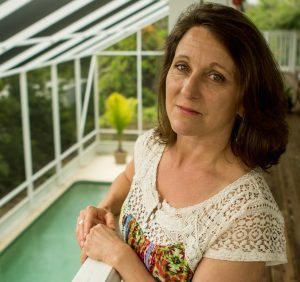 It took the jolt of a sudden and unplanned move to care for my dying mother to reveal that I –in a very real way– was dying too. Dying on the vine. My final shreds of sanity were wearing thin. The very slender hold I had on my identity as Christian, wife, mother…and daughter– was slipping fast. I recall how one day I stood outside as a friend was leaving and all I could say was, “This is not who I really am.” Trouble was; I no longer knew who that person could be. I certainly didn’t know where to look. I just wanted to push “pause”, catch my breath, rearrange the scene a little so I could catch up, sort it out and start again. Not happening. Little by little, I was beginning to unravel. I understand now how necessary this unravelling was. God was up to something bigger than I could see and was also about to step into my mess in ways I could never have known to ask for. Truthfully, it got much worse before it got any better. I just couldn’t find my way through the maze of what God was revealing as my next step in doing life with Him. He was speaking and I know I heard something. In my grief and confusion, the enemy wasted no time in luring me off track with empty words and promises spoken in the midst of my brokenness… words I trusted were shared from God –but were not. I had hit bottom. My marriage was a wreck. You know, God is in the redemption business and little by little He was buying back every piece of me I had given away over the years. It got deep. It was intimate. It was a *particular* redemption. God himself became… and then gave me back… the key to everything…. to me, who I am in Him.. to my heart and my soul. All I had to do was surrender. The healing came ever so slowly as I began to write again. I took a chance on a blog and began to reach out and discover whole groups of women–and a few men who are serious about the nitty-gritty living of this sometimes, ugly, underbelly life. People who care about God and others and themselves and about BEING the Body of Christ. My faith and hope in the right things was restored in the right ways. I discovered a community passionate about things worth fighting for and the Reason behind the fight. In arranged marriages yet committed to their spouses and faithful to the cause of Christ. Some struggling transparently with infertility, cancer, ALS, eating disorders, depression or the daily grind of the daily do of family life. 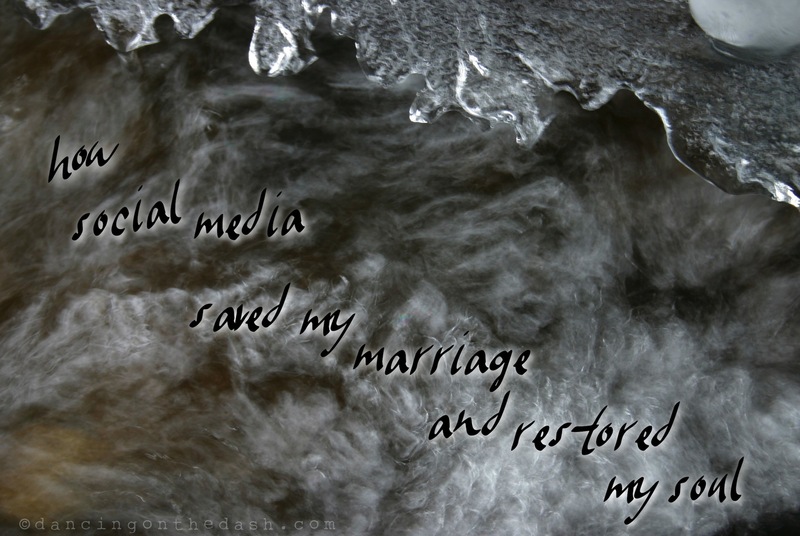 So yeah, call it the hyperbole of the century but fact is, social media saved my marriage and restored my soul…sorta. Saved my sanity, is more like it I guess. All I know is God didn’t let me go, he brought me through to here. 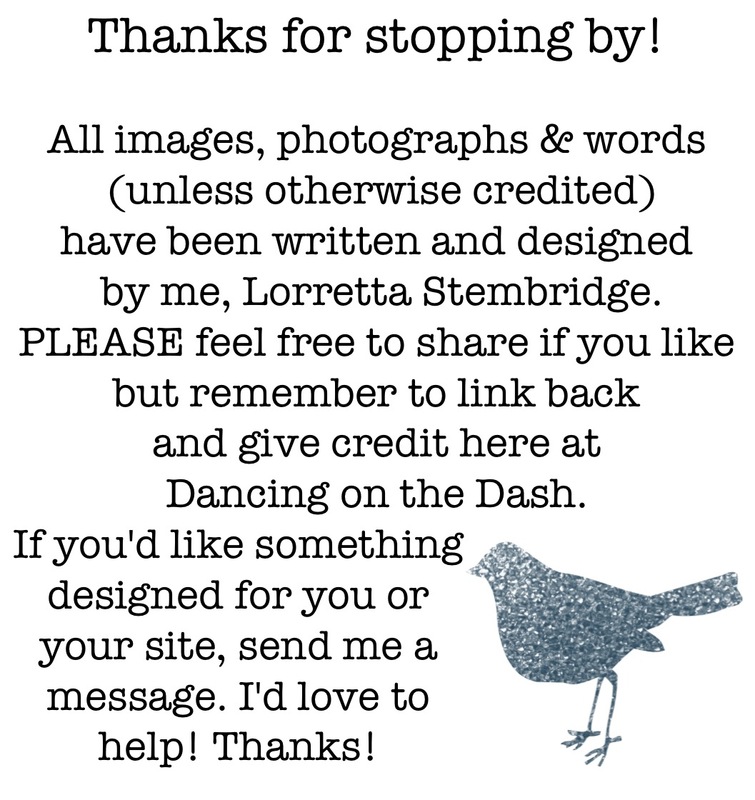 If you’re reading this today and see even a small piece of yourself in my story, I’m inviting you to come on home. He’s got your key too and I’d love to help you open that door. Let’s be brave, shall we? I feel duly “checked out” Love you Donna!